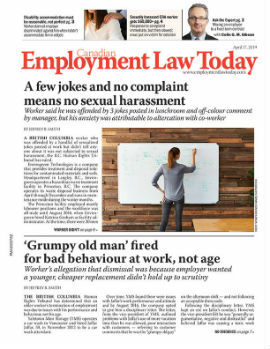 The pages of this publication are filled with judgments from courts, arbitrators and tribunals dealing with incidents involving employee misconduct or unfair behaviour by employers. Decisions are rendered on who was right or wrong and who deserves compensation, usually providing a remedy for the situation. However, such decisions usually don’t address the aftermath of the incidents in the workplace. The reality is that even after a decision is made, the parties as well as others in the workplace must live with the after-effects. And while it’s easy to say something is resolved and over with, it can be more difficult to follow through — especially if the issue disrupted the workplace. Once the dust has settled — or better yet, before then — an employer should be implementing procedures to try to restore the workplace culture and ensure things don’t snowball into more problems — legal and otherwise.